These are a couple of great health focused events coming up over the next couple of months! Definitely worth heading along to, to hear speakers at the forefront of the industry today. Topics: Getting in to Healthy Eating, Living Healthy, Expanding Your Horizons. 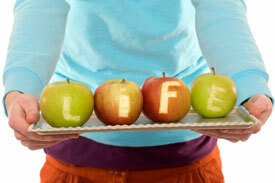 This full day seminar will cover how food can either bring you health and happiness or illness. All these are linked, and all can be helped with better habits. Eating is part of it and Cyndi will be addressing as much as she can on the day. You will also understand what foods will give you health, and what foods will starve you of health.